The secure password manager for your company puts its focus on sharing password securely inside and outside of your workspace. 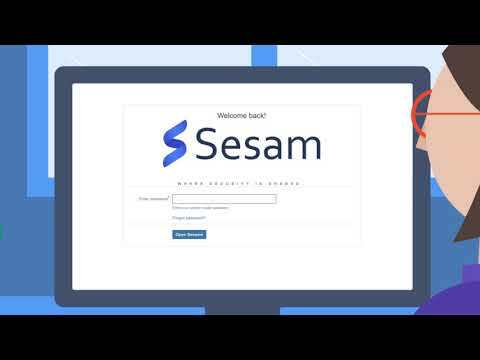 Sesam is a corporate password manager that seamlessly integrates with JIRA and offers a wide range of possibilities. Already existing permission information (JIRA roles) can be reused to manage the access control in SESAM. Therefore, roles do not need to be managed in several places and administration is way more efficient. Snapshots of the current password information can be created any time and are stored (of course encrypted) on the server. Additionally, a file containing the password information can be downloaded and restored. Sesam offers a free trial period. For server apps, you can extend your app trial up to 5 times - in other words, for up to six months. Pricing starts at 10$ for a 12 month subscription including maintenance. You can renew maintenance after 12 months at 50% of the current purchase price. Subscription that costs between $1 and $275. Price may vary depending on commitment and so on. Sesam was added by edrahl in Mar 2019 and the latest update was made in Mar 2019. The list of alternatives was updated Mar 2019 There is a history of all activites on Sesam in our Activity Log. It's possible to update the information on Sesam or report it as discontinued, duplicated or spam. Save your passwords locally without having to trust a service that uploads them to the cloud. Safely transfer your passwords physically to another device. Alternatives to Sesam for Windows, Mac, Linux, Android, Web and more. Filter by license to discover only free or Open Source alternatives. This list contains a total of 13 apps similar to Sesam. Maybe you want to be the first to submit a comment about Sesam? Just click the button up to your right!